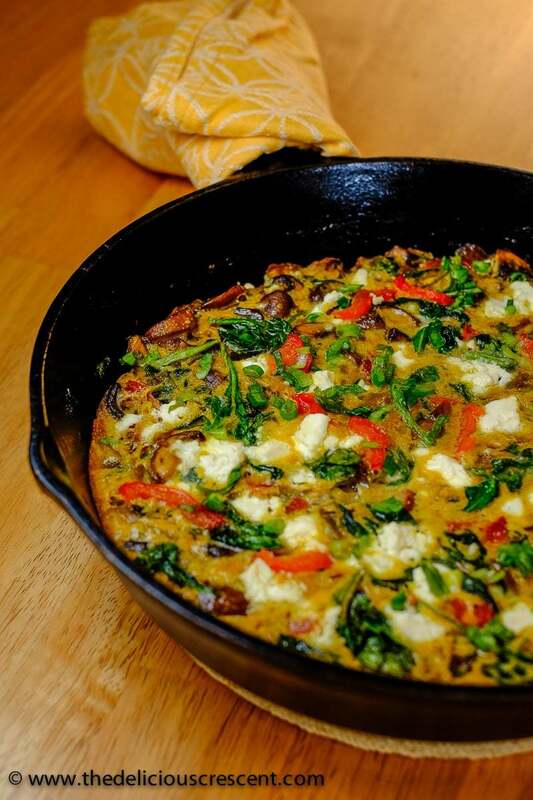 The mixture of mushrooms, spinach and red bell pepper makes a great flavor combination. The plump mushrooms, laced with the spinach and specks of red bell pepper, embedded in a tender, spiced and custardy base is a treat you don’t want to miss! And is it nutritious or what? Low in calories, but with a good amount of satisfying protein, heart healthy monounsaturated fats, potassium and chock full of antioxidants and phytochemicals. Mushrooms have been known for antioxidant, immune-modulating and anti-tumor properties. The beta glucans and chitin in mushrooms have been credited for health effects such as lowering of cholesterol and immune health. The good amount of B vitamins, vitamin C and potassium present in mushrooms make it heart healthy and also good for the regulation of blood pressure. Plus, it is a good source of selenium – a nutrient that is important for antioxidant protection. Mushrooms cultivated with exposure to sunlight are a vegan source of vitamin D – a nutrient known to inhibit cancer cells and which has come into much prominence due to the wide spread deficiency. I have added plenty of spinach in this recipe and discussed about the leafy greens in my post about Saffron Yogurt Rice with Spinach and Prunes. Finally, the red bell peppers added in the recipe are a great source of vitamin C, carotenoids and anti-inflammatory phytochemicals. 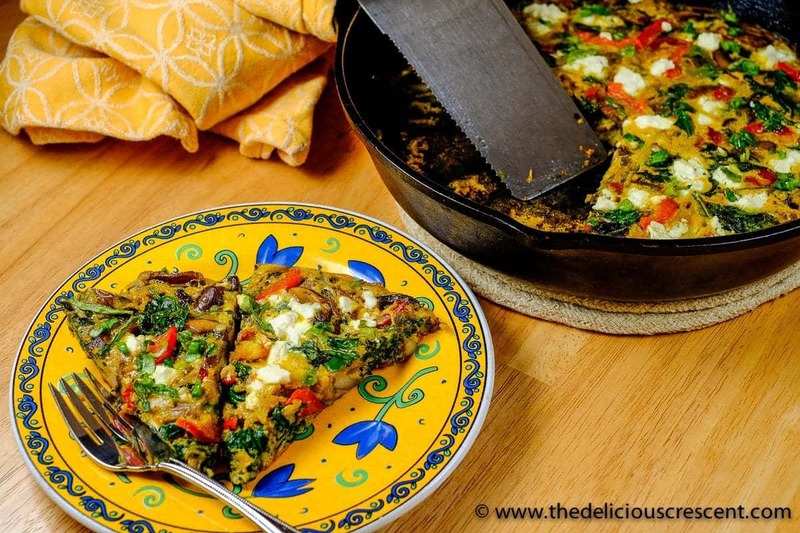 If you like mushrooms, spinach, quiche or frittata, you will for sure like this interesting twist! I love a frittata so I’m sure I’d love this kuku just as much. Sounds hearty and delicious! I loved the recipe. Rich and nutritious. Thanks for introducing me to this new dish from Persian cuisine. Looks lip smacking Delicious. So happy you like it. Thanks Sonal. I love this is low carb. It’s my kind of recipe. I’ll have to look up that Persian spice as I am not aware of what it is, but this looks and sounds delicious and I want to make it! Thanks Shelby. Its a mixed spice blend and you could try substituting an aromatic mixed spice blend thats not spicy like a middle eastern or Mediterranean. 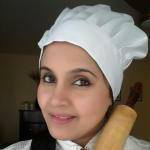 I will be posting about the spice blend soon. Ohhh I wanna know more about that Persian spice mix! how delicious! I will be posting about the spice soon. Its a mixed spice and you could try substituting an aromatic mixed spice blend thats not spicy like a middle eastern or Mediterranean. I love anything reminiscent of an omelet! This looks so nutritious, hearty and delicious. Perfect for a family brunch! Yes indeed great for brunch. Thanks Valentina.